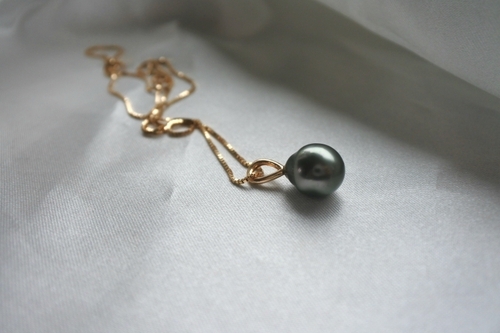 This necklace is made in 18K gold (choose between red & white gold) with a baroque Tahiti pearl. 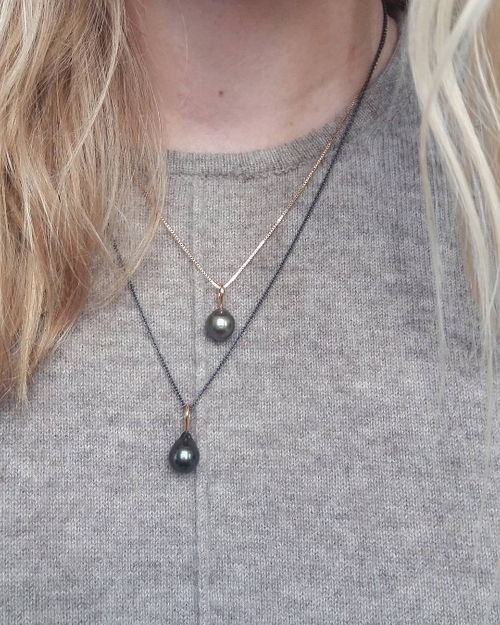 Every pearl is unique. 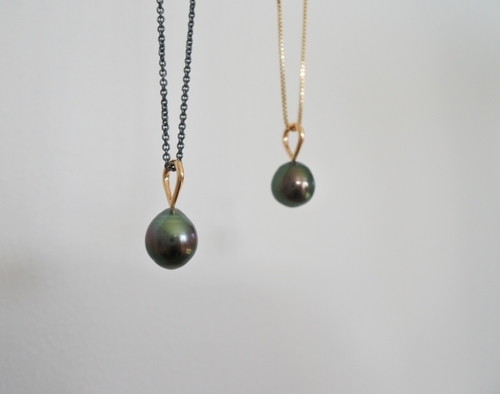 All pieces of jewelry are made by hand in Umeå or Visby, Sweden.